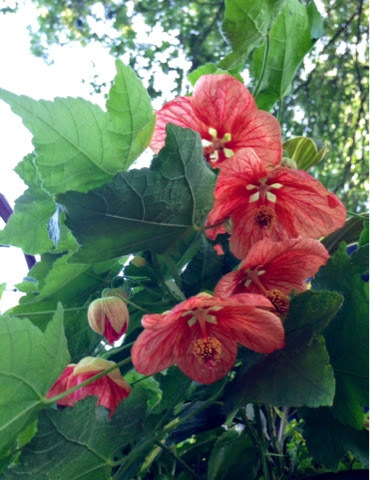 This afternoon I was once again swept away to the tropics when I looked out my window at this beautiful hibiscus. I found this beauty at Lowes – one of Costa Farms’ selection. Well, it feels like the tropics these last two weeks, might as well look like it.